Orion is featured in Linda Mullin's book "A Tribute to Teddy Bear Artist II". 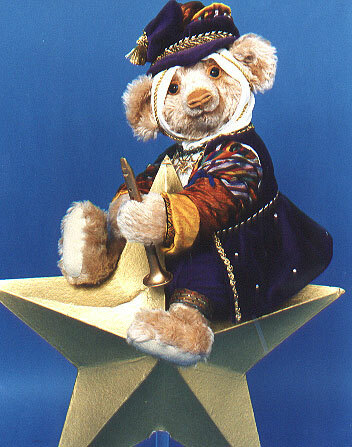 He's a 20" mohair bear, dressed in silks and velvet. He is seated upon a large paper mache star which is mounted on a plexiglass base. This bear is in a private collection.